Имате въпрос към Go Hotels Iloilo? Разположен в Пределите на града, Go Hotels Iloilo е перфектно място да почувствате духа на Iloilo и околностите. Центърът на града е на около 0.3 km, а до летището може да се стигне до 11 минути. С удобното си местоположение хотелът предлага лесен достъп до всички градски забележителности, които задължително трябва да се видят. Go Hotels Iloilo прави всичко възможно гостите да се почувстват удобно. Затова хотелът предоставя най-добрите услуги и удобства. Най-важните съоръженията на хотела са безплатен WiFi достъп във всички стаи, 24-часова охрана, достъп за инвалидна количка, 24-часова рецепция, съоръжения за инвалиди. Като допълнение всяка хотелска стая предлага широка гама от удобства. Много от стаите са с телевизор с плосък екран, безжичен интернет достъп (безплатен), стаи за непушачи, климатик, бюро, за да удовлетворят и най-изискания вкус. Хотелът разполага с голямо разнообразие от развлекателни съоръжения като масаж. С превъзходните си удобства и отличното си местоположение Go Hotels Iloilo е идеално място, в което можете да се насладите на престоя си в Iloilo. 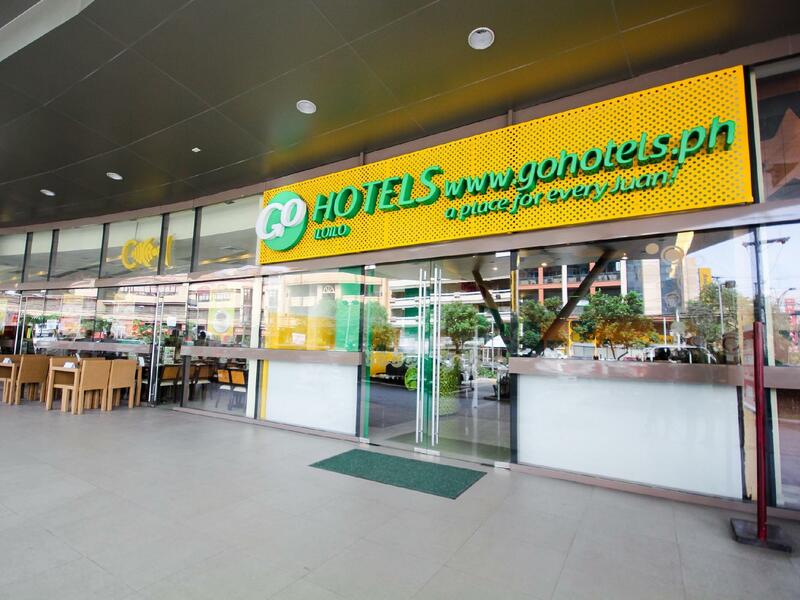 Go hotel is recommendable in terms of location , as most of the people are familiar with Robinsons iloilo just besides the hotel . The wifi was great , the room as always was nice and very accommodating staff . Very good location beside Robinsons. You can easily commute to/from the area. Taxi is readily available outside and guard can help you get one. 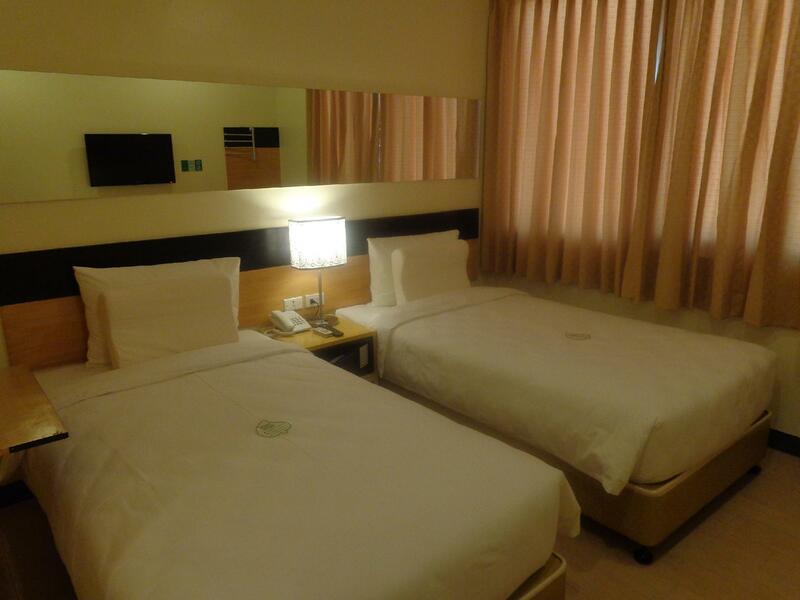 Compared to our experience in Go Hotels Bacolod, this one is better. Located just beside Robinson. Walking distance from central market. Not allowed to eat and they will fine you 1,000 if they found out any trace of food stuff inside. They don't clean the room daily unless you requested it. You can't beat this Hotel when it comes to price, location and Staff service. Don't ask for any amenities like Gym , swimming pool or fine dinning, you wont find it here. But What this Hotel offers is a comfortable bed and soft firm pillows which i like, an aircondioning that actually works, good water pressure and a safe deposit box. I highly reommend it for any budget concious travellers . We are a family of 8 so we reserved 4 rooms. Each room has 2 twin beds. The rooms are simple but clean and functional . The aircondioning works well . The rooms has no fridge but has a flat screen TV and a safe deposit box . They do not provide daily housekeeping but you can always call if you need your room cleaned and your towels changed. The staffs are always friendly and courteous. 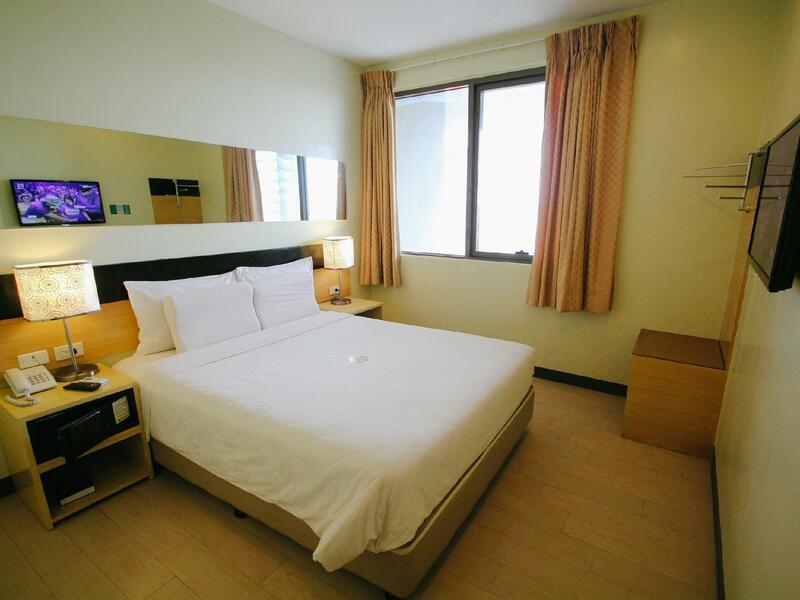 The location is excellent, the hotel is right next door to Robinsons Mall where you can find a good selection of restsurants and shops. I wouls definetly stay here again . We booked Go Hotels due to their cheap rate plus the additional discount that I can get by using my card. We are not expecting anything in our stay since we know for that kind of price, what we can get - is just a sleep. But we are wrong, facilities and the hotel itself is modern - our first in a touch-screen elevator! We love the CR and the layout of the room. The bed is the best (for a couple)...hahaha! There is no breakfast but there is a Mini-Stop. The EXPRESS CHECK IN counter was not express at all. There was only one receptionist handling everyone and it was only 2PM. Given that it's a weekend, they could've opened at least 2. But apart from that, the location was great, the rooms were clean and the SUPER SHOWER is amazing! The hotel even assisted us in getting a cab. Totally recommending it. :) Not sure if they have food though but since it is near the mall, that should not be a problem. It was good, you certainly get what you've paid for. No food allowed inside but there's a starbucks downstairs and an adjacent mall. Bed is ok, sheets and towels look old but nonetheless clean. Only shampoo and soap will be provided, no tub but the shower is really good. Transportation will never be an issue. Friendly staff but checking out is not as fast as I expected (was asked to wait while being cleared and it took them about 20 minutes). This is my second time in a Go Hotel, and the experience is much like my first in Tacloban. Good and inexpensive accommodations in a superb location if you want to be close to the only mall in Dumaguete. It's a tricycle ride away from the main tourist area. The only downside is the poor wi-fi connection in the entire hotel which could not be blamed entirely on the hotel as wi-fi is generally poor in the entire city. The first room they gave us was room411, i was surprised when i opened the curtain, the whole curtain system fell onthe floor. I called the front desk and they ggave us a new room. The was perfect, very clean, smells good, very good shower especially tthe water pressure. The whole vacation iniloilo was good, and definitely im going to stay again at go hotels iloilo. Our stay was very comfortable. The staff were very helpful. The hotel, being on the top of a mall, had almost everything. Their wifi was good enough. The hotel has easy access to public transport at any time of the day and night.